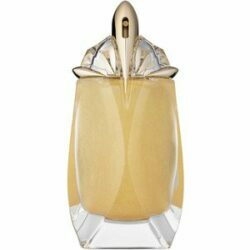 Thierry Mugler did not resist the challenge to present to the market his perfume which contains precious oud in his name and ingredients. Honestly, I expected to see oud firstly in a masculine composition, combined with coffee, woody notes, leather and spices, but in the middle of summer 2015 full-blooded Alien was presented which arrives as an oriental and very spicy version of the original version of Alien. We are already used to Mugler’s ‘kitchen’ in which everything is possible and which has been launching extraordinary versions of the original themes for many years. Its fragrant versions now truly satisfy numerous fans of perfumes because they do not lose quality nor invention regardless that sometimes only small details are in question. The Alien collection has now received another version which contains DNA of the original and plays on traditional Arabic ingredients. ALIEN OUD MAJESTUEUX is another creation for which we can say that its composition is built on a synthesis of East and West, and their contrasts.